Mitsubishi Motors Corp launched two new versions of the i-MiEV electric car on Wednesday, slashing the price on one and extending the range on the other to appeal to more consumers in the nascent zero-emission field. Mitsubishi Motors became the first major automaker to mass-produce pure electric cars with the egg-shaped i-MiEV and leads the segment so far with 10,000 vehicles sold globally since mid-2009. It has exported another 4,000 electric cars for sale under PSA Peugeot Citroen's brands. Japanese rival Nissan Motor Co, which wants to dominate the electric vehicle (EV) market with its French partner Renault SA, has sold 8,500 Leaf electric cars globally since its launch in December 2010. 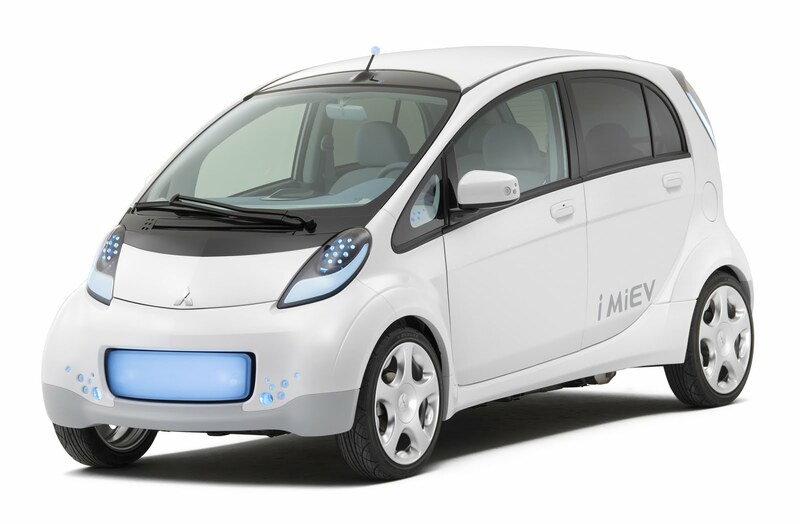 In the i-MiEV's first remodeling, Mitsubishi Motors will offer an entry-level "M" version, with a sticker price of 2.60 million yen ($32,000), down from 3.98 million yen, and a shorter range of 120 km (75 miles), compared with 160 km (100 miles) for the previous model. After Japanese government subsidies, the M will cost the buyer 1.88 million yen, Mitsubishi Motors said. "Costs have really come down dramatically," President Osamu Masuko told a news conference, adding that batteries -- the main reason for the relatively high price of EVs -- had more than halved in price in the last two years. "We will try to keep the price down even when the subsidies go away," he said. The higher-grade "G" version carries a suggested retail price of 3.80 million yen and can go 180 km (110 miles) on a full charge measured under a stricter Japanese fuel economy reading. Mitsubishi Motors plans to sell 6,000 i-MiEVs in Japan in the business year to next March 31 and 25,000 EVs globally, including those produced for Peugeot-Citroen. The earthquake and tsunami that devastated northeast Japan on March 11 have ignited debate over whether the spread of electric cars would stall in a country facing a nuclear crisis, tight electricity supply and the possibility of higher electricity prices. Masuko said he did not perceive any headwind for EVs, but rather a heightened need to develop renewable energy and multiple power sources. Electric cars, he said, could also be a useful source of power in an emergency by discharging electricity from their batteries. "At first we wondered whether EVs could be useful in the disaster zones, and it turned out that they were because gasoline was scarce at the beginning," Masuko said. The Mitsubishi group has loaned 89 i-MiEVs free to the region's governments and others helping with relief efforts. "Once enough gasoline became available we asked whether we could have them back, but we were told they were still useful so not one has been returned yet," he said. Mitsubishi Motors said it hopes to develop and market within this business year a portable converter with enough output capacity to allow its electric cars to power household electronics such as rice cookers and washing machines. A converter for laptop computers and other products that use less electricity is already available as an option. On a larger scale, Japanese automakers including Mitsubishi Motors, Nissan and Toyota Motor Corp are looking to add a function that would enable EVs to discharge electricity directly to homes. The i-MiEV would be able to power an average household for at least a day. With the proper control functions, that would allow households equipped with solar panels to charge their EVs during the day with clean energy, then use the power stored in the car's batteries to supply the household at peak hours. Mitsubishi Motors will buy the smaller-capacity lithium-ion batteries for the i-MiEV's "M" grade from Toshiba Corp and continue using batteries made by its joint venture with Mitsubishi Corp and GS Yuasa Corp for the "G."